Designed by an orthopedic surgeon, this patented wrist support helps prevent and relieve wrist pain, including carpal tunnel syndrome. Comfortable design encourages ergonomically correct wrist position. 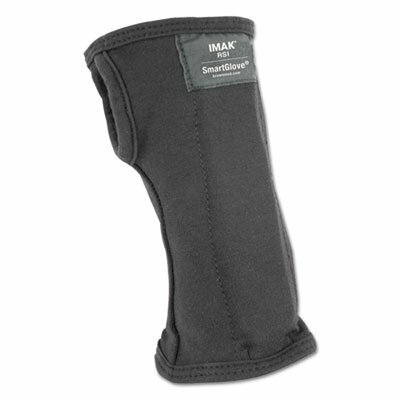 Removable, flexible stay and massaging ergoBeadsTM provide support and comfort. Fits left or right hand. Size Group: Small; Fits: Hands up to 3 1/4" wide; Material(s): Lycra®; Color(s): Black.